Set aside the evening of Sunday 9th December to come to the Virginia Lake PunchBowl & celebrate Christmas by singing all of your favourite Christmas Carols from 7pm to 10pm. We will be led by Tim Davies, Bruce Jellyman & Brass Wanganui, plus a large Choir combining Lyn Whiteside's Community Choirs & members of Wanganui's Male Choir. Come early with a picnic tea, seats, rugs & jackets (no alcohol allowed). We will have a face painter in residence & there is the chance of seeing Santa! 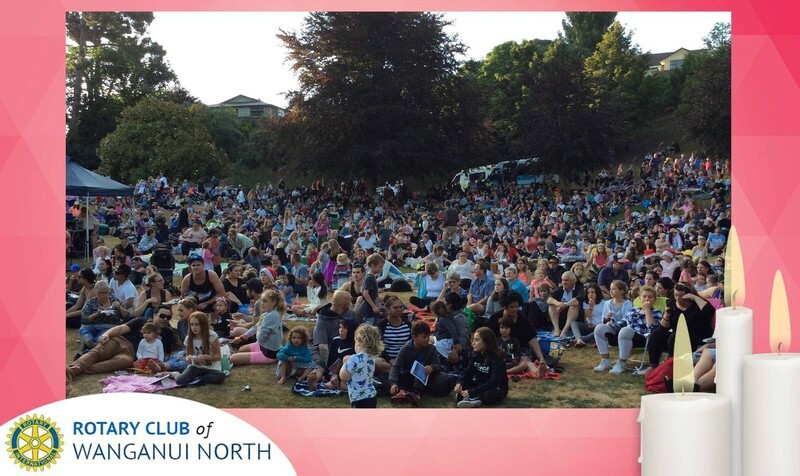 Your gold coin entry donation will help support an amazing community organisation - the Whanganui Women's Network, supporting the community since 1986. The Rotary Club of Wanganui North is very proud to organise this annual event & are supported this year by More FM, ANZ Bank & Summerset. In the event of the weather forcing a cancellation, tune into 92.8 More FM at midday or check on More FM's Facebook page.